WIN A PAIR OF TICKETS TO SEE KISS ME, KATE! Cole Porter’s Broadway classic is an irresistible celebration of the joy and madness of working in the theatre. With a score studded with some of the greatest classics of American musical theatre including ‘BRUSH UP YOUR SHAKESPEARE’, ‘ALWAYS TRUE TO YOU IN MY FASHION’ and ‘SO IN LOVE’, Opera North’s exhilarating production features full chorus and orchestra and is simply ‘TOO DARN HOT’ to miss! 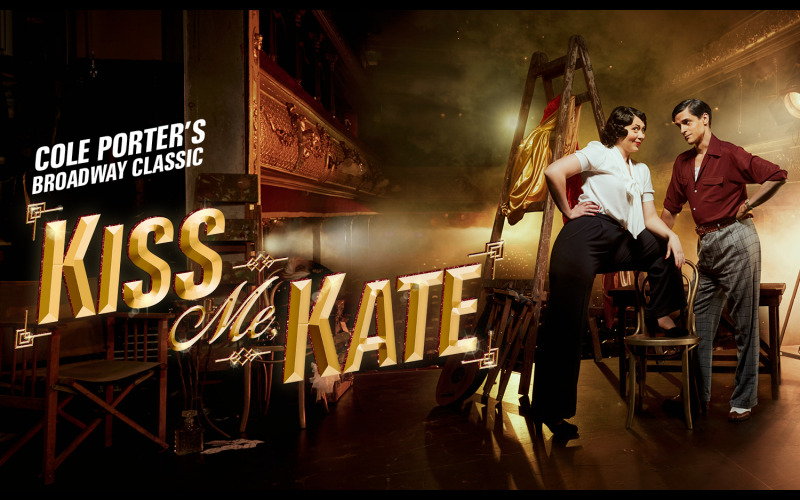 KISS ME, KATE is at the London Coliseum for 12 performances from 20 – 30 June. We’ve teamed up with KISS ME, KATE to give you the chance to win a pair of tickets!